Welcome! 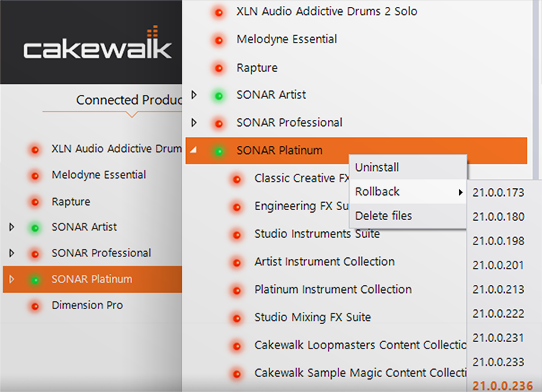 Cakewalk Command Center allows you to download and install connected Cakewalk products simply by logging into your Cakewalk Account. Install entire product packages or a single subset of products with the click of a button. You can even roll your installed version back or forth at will! Click "download" below to get the latest version of Cakewalk Command Center. After installing, use your Cakewalk Account username and password to log in and begin installing your connected products. That's it!